Dubai is the most populous city and emirate in the United Arab Emirates. Dubai is a beautifully odd combination of the ocean and the desert, right next to each other. From just a deserted island which is hard to even live on, Dubai has emerged to be a global city and one of the biggest business hubs in the Middle East. 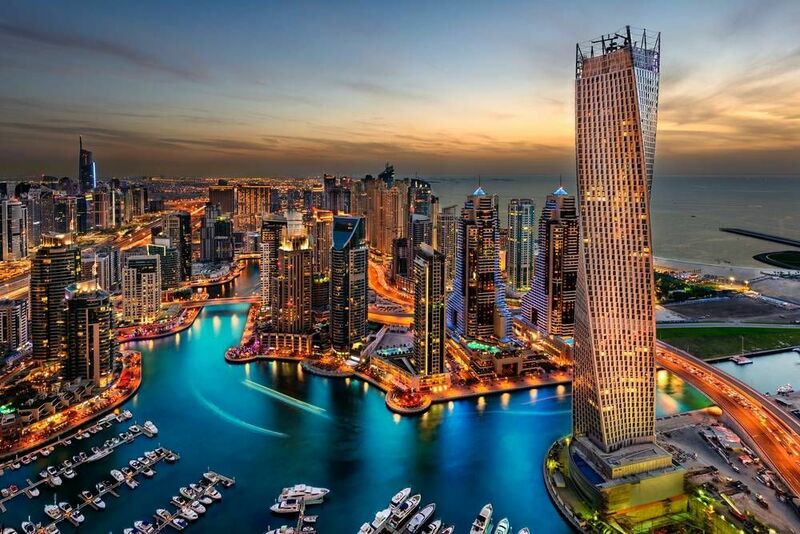 As of 2012, Dubai is the most expensive city in the Middle East. That means everything in the land of Dubai is top notch. Whenever people thought of Dubai, people think of all the most luxurious things in the world. Dubai is the kingdom of 'the best.' From the luxurious shopping center to the only 7-star hotel in the world, Dubai houses the most luxurious forms of entertainment, accommodations, and everything else. It is called the land of billionaires for a reason. The city has one of the most iconic skyscrapers and high-rise buildings in the world. On this little island stands the Burj Khalifa, which is the world highest building. And all the luxurious thing of Dubai does not stop on land. They also own some of the most beautiful islands in the world, including the Palms Island that beautifully shaped like a palm tree in the middle of the ocean. Dubai is a magical emigrate that combines the Middle Eastern traditional lifestyle and Western way of living. In Dubai, you can find the colorful traditional hijabs anywhere on the street and you can also find people with the most stylish fashion. Anything can happen in this magical land. One of the best ways to get to know any city is taking a walking tour around. Sadly, there are very few free walking tours in Dubai. The weather in Dubai is very hot all year round so sometimes, walking around to view the city may not always be enjoyable. However, on good weather day, it is still as nice as ever to take a walking tour around the city. One of the very few free walking tours in Dubai is the tour by Airotour. The tour lasts about two hours. The tour will start at 10am. The tour will take you around the city of Dubai, quickly stop by all the important landmarks of the city. The tour is completely free of charge. However, you need to pay a €2.50 non-refundable fee per person to book the tour. With that said, the tour requires advance reservation. The tour is not offered every day, so you should check their calendar to make sure you can get the tour on the day you want. There are not many options for free walking tour in Dubai. However, there are many websites and blogs that show you how to have a self-guide tour around Dubai, such as this blog. Below you can find more popular (but not free) activities and tours in Dubai. Are you from Dubai and want to be a tour guide? Please get in touch by submitting your details on this page!